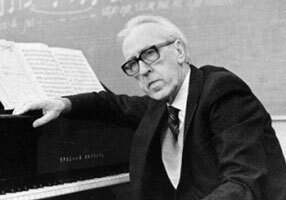 Dmitry Borisovich Kabalevsky (born December 30 [December 17, O.S. ], 1904, Leningrad (now St. Petersburg), Russia – died February 14, 1987, Moscow), was a great Russian Soviet composer, pianist, conductor, teacher and public figure. This entry was posted in Kabalevsky, Dmitry Borisovich, Piano, Piece and tagged Dmitry Kabalevsky, educational material, Music score, Piano, piece, Sheet music on 17.02.2019 by admin. This entry was posted in Kabalevsky, Dmitry Borisovich, Piano, Piece and tagged Dmitry Kabalevsky, educational material, Music score, Piano, piece, Sheet music on 28.12.2018 by admin. This entry was posted in Folk Music, Kabalevsky, Dmitry Borisovich, Piano, Piece and tagged Dmitry Kabalevsky, educational material, Music score, Piano, piece, Sheet music on 19.12.2016 by admin. This entry was posted in Folk Music, Kabalevsky, Dmitry Borisovich, Piano, Piece, Waltz and tagged Dmitry Kabalevsky, educational material, Music score, Piano, piece, Sheet music, WALTZ on 18.12.2016 by admin.